The winners in all of the award categories were decided in a worldwide poll of Air Cargo News’ 50,000 global readers, who were invited to vote online for the airlines in global and regional markets. 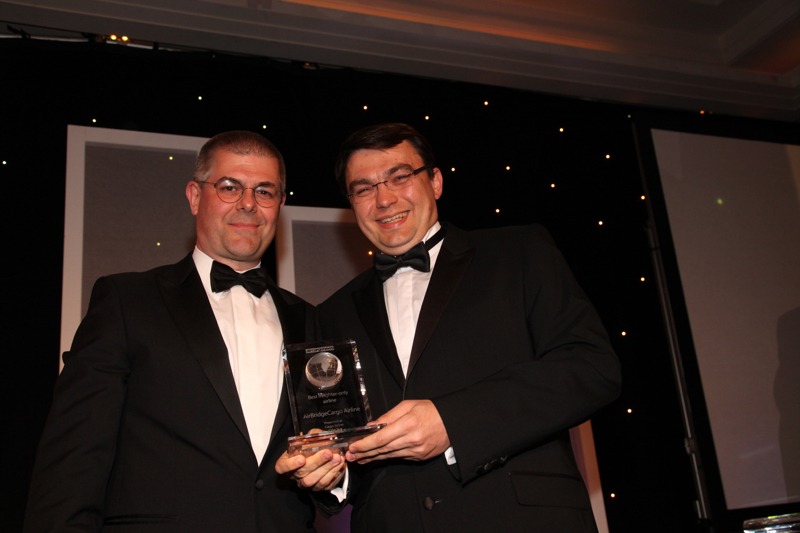 Top international air cargo, logistics and supply chain executives gathered in London for the 2015 awards ceremony, organised by Air Cargo News. This is not the first time ABC has been recognized by its customers and industry representatives. It has won the ‘Cargo Carrier of the Year on International and Domestic Routes’ award in the annual Wings of Russia ceremony for four consecutive years. In Asia, the airline was presented with the ‘Best All-Cargo Carrier’ prize in the 2014 Asian Freight and Supply Chain Awards and, in Europe, it received the ‘Best Cargo Airline’ trophy in 2014 in the Golden Chariot awards, presented in Berlin.